Finding the best personal trainer in Dubai, Abu Dhabi or Sharjah for your fitness goals can be difficult. The UAE Personal Trainers website connects you with professional and qualified male or female personal trainers local to you in Dubai or Abu Dhabi. Many of the personal trainers are mobile which means they can come to your home, your building gym and even provide training outdoors. Finding the perfect ‘qualified’ personal trainer has never been easier – search by location, gender and personal training experience. The UAE Personal Trainers website connects you with professional and qualified male or female personal trainers local to you in Dubai or Abu Dhabi. The UAE Personal Trainers website has been created to help you find the right personal trainer based on your personal training needs. Whether you are looking for a personal trainer in Dubai, Abu Dhabi or Sharjah for general fitness, weight loss, for strength and toning or for sports specific training the UAE personal trainers website can help you find all the information you need on professional trainer services in your area. A professional personal trainer will assess your training needs using various method and then guide you in the right direction based on what you want to gain or achieve from your personal training sessions. Motivation is a key element to achieving your personal training goals. It’s not just about coaching you on the right and wrong way to exercise, it’s about entering a motivational mind-set and keeping you there. The right way, the wrong way, how much training to do and when. How to avoid injury and how to recover. A good personal trainer will know exactly what you need to do to get the most out of your personal training sessions. 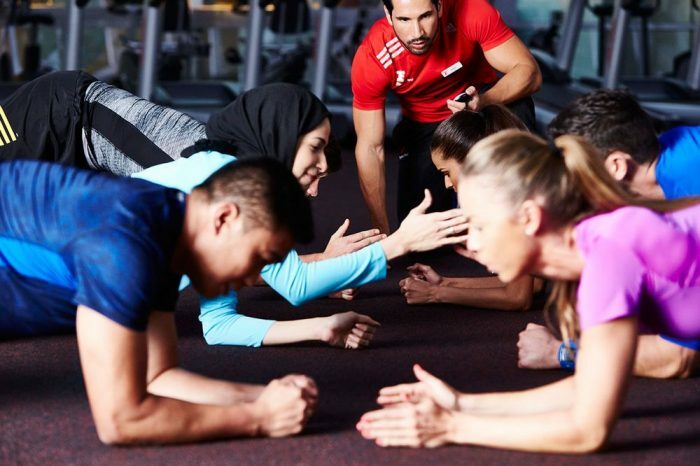 READY TO FIND YOUR UAE PERSONAL TRAINER? Click a location option below to browse all male and female personal fitness trainers in Dubai, Abu Dhabi & Sharjah. You can use the search form at the top of this page to refine your training goals and match your personal training requirements to a gym based or private (at home) male or female personal trainer in Dubai, Abu Dhabi or Sharjah. Prenatal exercise is considered safe and important for women in Dubai & Abu Dhabi. You just need to take sensible precautions. Get tips and advice from a prenatal personal training specialist.